Very useful information. 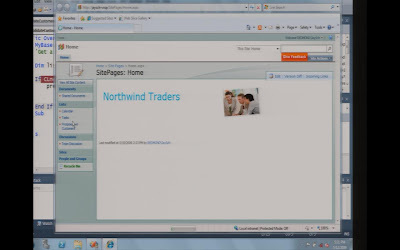 It is shocking to know that Sharepoint 2010 will only run on Windows Server 2008. It's nice that BDC can update data in the database, but what about concurrency? You keep talking about the most exciting features...but you didn't talk about the ACTUAL most exciting feature on your list: IT WILL NOT SUPPORT IE6!!! Woo hoo!!! That makes me REALLY happy! I am also assuming that SharePoint 2010 (and ASP.NET 4.0) will have a fairly strict IIS7 requirement, which would account for its reliance on Windows Server 2008. Maybe SharePoint Designer will eventually be absorbed into Visual Studio 2010? I would be shocked if SharePoint Designer were to be absorbed into Visual Studio. The are targeted at completely different audiences. Requiring that a 'knowledge worker' install Visual Studio is like saying a power user has to install Visual Studio to edit macro's in Word or Excel. Not gonna happen. 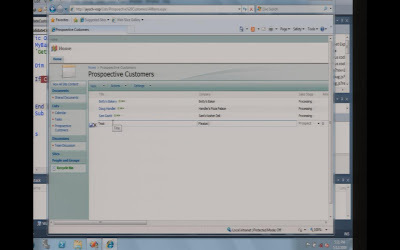 oruamid, sharepoint designer is based off expression web, so i believe it will be kept seperate. I pray that designer is either rolled into visual studio, or completely gutted and redone. It is an absolute travesty that designer is refered to as a professional development tool. It's so bad that Microsoft has stopped asking for money for it and is now offering it as a free MSDN download -_-. Yes, sharepoint 2010 is coming up with some exciting feature. But I am surprised to know that it will work on windows 2008 sever only with 64-with bit machine. Hey guy,Now, do we need to upgrade our development environment as well from 32-bit machine to 64-bit machine? Yup, development environments upgrade to 64-bit too. The nice part is you can ask management for 4+ Gigs of memory while you're at it ;). I have one more question. Is it possible to use 64-bit virtual machine (running suppose sharepoint 2010), on 32-bit base operating system ? This doesn't make things look comfortable. For those clients who have heavily invested in MOSS in the past year on a 32-bit env would not be comfortable migrating to a 64-bit now. Migration in a 1-2 yr span doesn't seem to be a good approach. This may lead to other options being tapped for further projects. Not a good idea, MS should atleast carry the 32-bit for another year or two. As for the look-n-feel, I have seen the CA GUI and it doesn't mark a big difference except that of the ribbon based Office types. The features are what I am looking ahead at, very promising and ever expected. Unless, of course, your 32-bit development processors support hardware virtualisation extensions. Though this is only proposed as a work-around, there is no doubt that an upgrade to SharePoint 2010 requires upfront investment apart from the obvious software licensing costs. It will interesting to monitor the uptake of the new platform when it is released. By the way, you have a nice blog, Lee.